CPS Chief Education Officer Janice Jackson, shown here at the January board meeting, says that "the longer Gov. Rauner stands in the way of equitably funding education, the more CPS will be at a competitive disadvantage for retaining our best principals and teachers." Chicago Public Schools officials say 54 principals have resigned or retired so far this school year, the highest number in the past four years. The number could go even higher as the school year comes to an end, given the looming threat of budget cuts and no end in sight to the financial impasse in Springfield. In a statement, Chief Education Officer Janice Jackson said that “the longer the Governor’s intransigence drags on, the more concerned we’ll become about potential losses” of principals and teachers. But principals say that CPS is mostly to blame for the wave of departures, including those from prominent, well-regarded high schools such as Lane Tech, Lake View, Schurz and Foreman, as well as Palmer and Edison Park elementaries. Berry says she’s heard from several more principals who are thinking about submitting their resignation letters at the end of June. 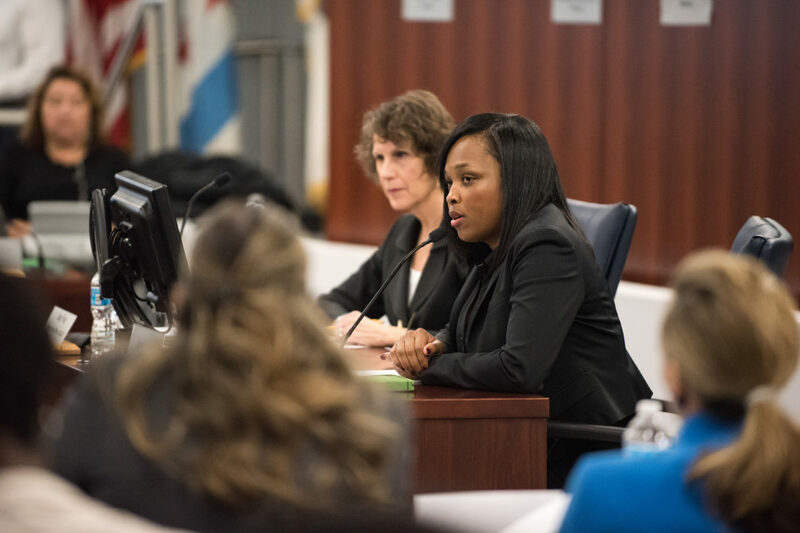 A CPS spokeswoman did not immediately respond to questions Tuesday about how many principals have completed the district’s eligibility process and are available to work next fall. The high-profile departures come as CPS says it will expand its Independent Schools Program, which was started last fall to give top-performing principals more freedom and flexibility. On Monday, district officials said it would double the size of the program to 54 principals. Former Stevenson Elementary Principal Katherine Konopasek says she was turned down for the program last year and decided to take an early retirement in January. She’s one of 21 principals to retire so far this year. “If they would have given me that independence that I deserved, I wouldn’t have left when I left,” says Konopasek, who had three years left on her contract at the top-rated school, which is on the Far Southwest Side. Last fall, a survey from the Chicago Public Education Fund found that 40 percent of principals said they will look for a new job in the next three years. More than two-thirds of those surveyed said they want to spend less time on compliance and paperwork, such as filling out forms related to teacher evaluations and completing data requests. Just 33 percent wanted an increase in pay. It’s not just principals who are looking to leave CPS. At Orr High School, seven teachers have already announced they’re resigning at the end of the school year. That’s close to a third of the tiny school’s teaching staff, says Cy Hendrickson, an eight-year math teacher at the struggling Austin school. He says cuts to personnel and support services, including a clinical mental health counseling program, have made it an impossible environment to do well in. Last week he decided to take a teaching job in Oak Park. A CPS spokeswoman did not immediately respond to a request for details on the number of teacher retirements or resignations, although she said the retirement rate was similar to that of recent years.